Two very distinct types of calls come to GM’s OnStar call centres: the type that comes from drivers who could use a little help with things like remote door unlocking, turn-by-turn navigation and hands-free calling; and the other that comes from drivers in emergency situations who push OnStar’s red SOS button. OnStar has call centres across Canada and the United States, but emergency calls in Canada are directed to Canada’s main call centre in Oshawa, Ont., and a call centre in North Carolina. 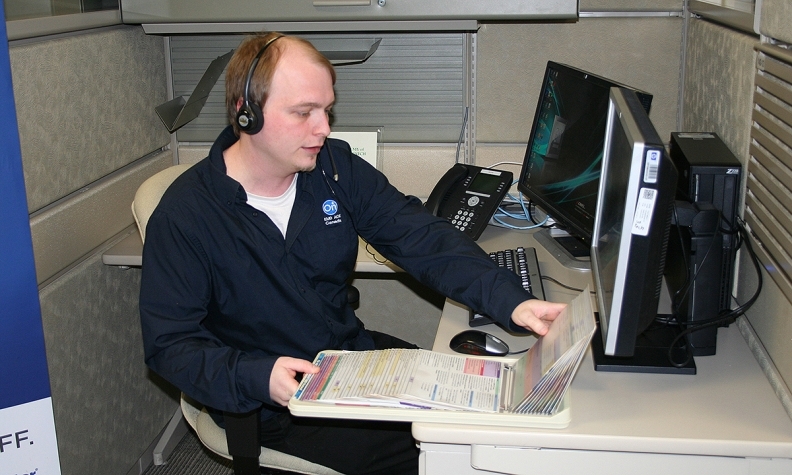 They are the only two OnStar centres that have advisors like Bryan Anta at the ready. Working in Oshawa, Anta is an emergency advisor trained in the Medical Priority Dispatch System, a standardized protocol that determines the urgency of a medical emergency, and guides advisors to provide help before first responders arrive. “Honk once for yes and twice for no,” were Anta’s instructions to a woman who was in the middle of a serious Asthma attack on the side of the road. Anta was then able to ascertain her situation and provide breathing instructions to keep her calm until help came. Anta’s quick thinking in that call made him the 2014 Dispatcher of the Year by the International Academy of Emergency Dispatch.